HealthCare and Life Sciences has used Combination Therapy for years to treat a wide variety of diseases. However, when it comes to their IT environment most HealthCare and Life Sciences companies are still suffering because they have failed to treat the underlying issues around data security, data insight, and data exchange. In this session, Mac Devine, IBM Fellow, will discuss how IoT, Cognitive and BlockChain technologies can be used in combination to help cure the IT problems in HealthCare and Life Sciences. Mac has 27 years of experience with networking and virtualization. The first 7 of those years were spent in mainframe software development where he served as chief programmer for several VTAM releases. Mac then moved to mainframe software design where he served as chief designer for several Communications Server releases and lead the design work for Sysplex and SNA over IP networking (aka Enterprise Extender). In 2000, Mac went on temporary assignment for 2 years to assist the new networking alliance teams (IBM/Cisco, IBM/Nortel) in the role of lead solutions architect. Upon conclusion of this temporary assignment, he started the Linux Networking Solutions team within Enterprise Platform Software and served as it’s product director and chief architect. In 2005, Mac started the Enterprise Platform Software Architecture Board and served as it chairman. The ESAB is the System z focus area for the SWGAB and is responsible for the architecture, design and strategy of solutions using IBM middleware on System z. In 2007, Mac started the zCloud Innovation team and served as its chief architect. The zCloud Innovation team provided the architecture, design and development for several in-market experiments leveraging System z as a premier cloud platform. Mac’s innovative zCloud architecture and design resulted in him being named an IBM Master Inventor. 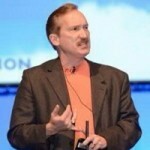 In 2008, Mac was appointed as an IBM Distinguished Engineer and became the WebSphere CTO for Cloud Computing. Mac’s innovations in this role resulted in him being appointed as a member of IBM’s prestigious Academy of Technology in July 2009. In 2009, Mac went on temporary assignment for 2 years with the IBM Corporate Strategy team where he served as the CTO for Cloud Partnerships and Client Innovations. During this time, Mac co-authored the Springer’s Handbook of Cloud Computing which is used by many Colleges and Universities. Upon conclusion of this temporary assignment, Mac joined the IBM Global Technology Services team and served as its Director and CTO for the Cloud Portfolio. In this role, Mac lead the technical due diligence for the SoftLayer acquisition and the creation of IBM’s new Cloud Services Division. In 2014, Mac was the Vice President and CTO for the Emerging Technology and Advanced Innovation team within the IBM Cloud Division. The innovations by this team not only lead to new Cloud and IoT services but also the acquisition of the Weather Company, uStream and ClearLeap. In 2016, Mac was appointed as IBM Fellow, IBM’s highest technical honor. Mac currently serves as the Vice President and CTO of Strategic Customer Success for the Watson Cloud Division. Mac also serves on the faculty of the Cloud Computing Expo, Things Expo and IoT LinkedIN Community as well as the IBM executive Sponsor for MIT. Mac is a 1988 Clemson University graduate with a Masters of Science degree in Mathematical Sciences and now serves as its IBM executive Sponsor. Mac is married with 2 sons.